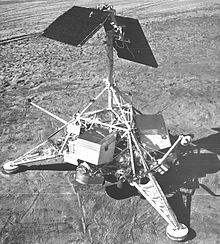 ↑ अ आ "Surveyor 1". NASA Space Science Data Coordinated Archive. 2014-08-26. मूल से 2015-06-01 को पुरालेखित. अभिगमन तिथि 2015-06-01.